Related to that is the common challenge of simply getting started. I am not alone in this. The world is filled with books on dealing with procrastination. (I have several of them; I will get around to reading them at some point.) Many of them miss the point, as I have mentioned in other posts–the challenge is not true procrastination, but juggling. It’s finding the “entry point” in the pattern. That’s where the old advice to “floss one tooth” comes in. The idea actually relates to forming a new habit: the tinier the habit, the easier it is to establish. But combining “floss one tooth” with “bird by bird” helps me with writing, whether it’s for a blog post, a book, or a speech. You have a idea you want to develop. It may be fuzzy. It may be overwhelming. You’re not sure where to start. It seems like a lot of work. When you finish that paragraph, if you want to stop, fine. You started. You have something to come back to. You can discard it, or you can continue it. We all know, of course, that once you’ve bothered to get the floss out, you are likely to floss another tooth or two. It’s great when that happens. You may find yourself with a completed chapter, or (as in this case) a completed blog post. 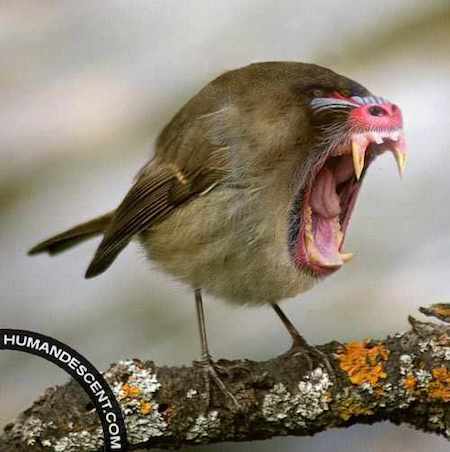 If not, though, you’ve gotten one tooth taken care of, one bird dealt with. When you come back to it, you have a place from which to continue. It may not seem like much. But here’s yet another metaphor. Raindrops aren’t big, but on the other hand raindrops make oceans. So pick a tooth. Floss it. After that, it’s tooth by tooth, bird by bird, keep your focus on one step at a time. Before long, you have an ocean. Or something like that.